Good research projects, what you need to make them, and some ideas you can use to build your projects. Here, the background technology of this project consists of just a flex sensor embedded along the cable. When the cable is tightened, the resistance of the sensor changes. This is then conveyed to the controller (maybe an arduino) and correspondingly a relay or a digital lamp dimmer can control the intensity of the lamp. This is just one of the several examples of the best research projects that doesn’t demand high technical expertise. If the project is something someone has already done, efforts taken to replicate it go futile. I am writing this article with respect to the immense amount of requests I get from students who are looking for good project ideas. At the end of this article, I will also be listing some simple concepts that have the potential to be turned into amazing research projects and applications. The fundamental first step towards executing a good research project is something called Idea Research. In most cases, we quickly get fascinated by an idea and fall in love with it. Let me explain it through an example. Arjun (a bachelor’s student) wants to build an academic project for his final year. He quickly thought about making a smartphone controlled home automation system and falls in love with it assuming that it’s a very novel idea. He thought of the complete idea and structure in one hour and then he spends three months trying to make the prototype. But what happened was at the end of this time when Arjun presented it to an external professor, the prof simply through a Google search showed him the thousands of other similar automation projects that were already online. If Arjun had invested more time in researching about his idea online and checking for other similar projects, he wouldn’t have ended up wasting three months on recreating an existing technology. This can be through mediums like IEEE, research gate, etc. Even through a simple Google search. Following media like Popular Science, Wired, etc is also good as it keeps you updated with latest products and projects around the world. Moreover, if you worry that you need to pay to access research papers, platforms like Sci-hub.io lets you access these papers through their DOI. Following such media lets you restructure and evolve your idea into something that no one has ever seen before. 1. Something else that was noticed was, people who come up with an idea get so attached to it that they shut out the opinions of other people. They are even scared to search for similar projects online as they don’t want to end up feeling disappointed. This is purely psychological, always use Google to evaluate your idea, the lower the number of projects based on it the better it is. 2. And the next common misconception I hear when I ask students to talk about their ideas are what if someone steals my idea after I make my prototype. This style of thinking is very detrimental, no one can steal your idea overnight. 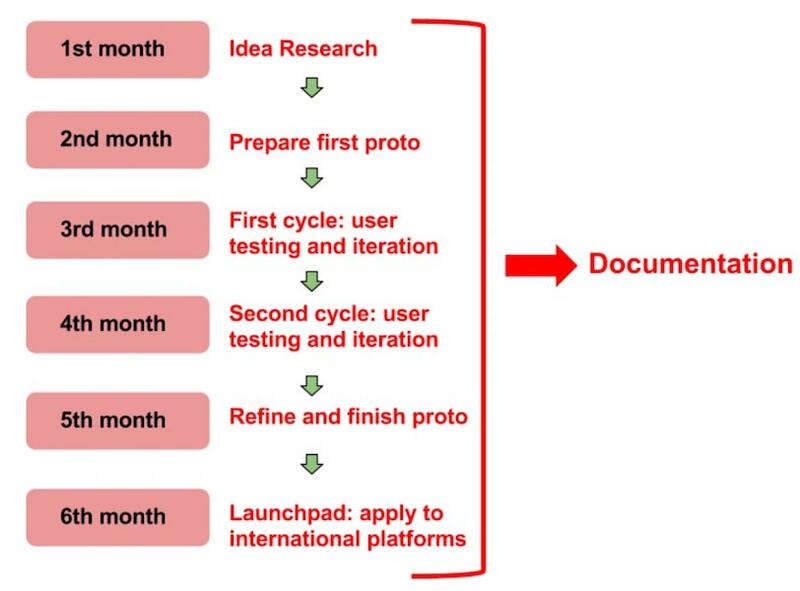 If you have invested one year of your life in making a prototype, no one will be able to “Just” replicate the entire thing over a couple of hours. Only you have the knowledge and experience associated in working with it for one year, no one can take that away from you. Moreover, the feedback and good support you get from sharing your project with everyone far outweighs the very slight possibility (<5%) of someone that tries to replicate your project. Now the next question might be: how do I get started with an idea first! This is pretty simple, anything that makes you go wow and which sparks something inside you will be able to keep you dedicated until you finish executing it. Research paper publishing platforms like IEEE, ResearchGate and more. Tech media like: Techcrunch, Geeky-Gadgets, Popular Science, Wired, etc. Following research groups at the MIT Media Lab, some of them are: Fluid Interfaces, Living Mobile, Object Based Media and several other groups. To help you get started, I am listing some simple concepts which I think have to potential to be excellent projects and applications. You can think of your own ways to port these ideas and turn it into something cool! You can embed these modules inside a helmet to create a cooling effect for the user. Or even embed it in the inner linings of your clothes to cool your body while wearing it. Think of interesting applications you can build using this concept. ChalKaat is another project that uses projection mapping to augment reality. Check DIY Hacking's project video and tutorial for building your own ChalKaat. Think of interesting applications that you can build using this technology. This concept is an extension of using Peltier modules. Here, you can club two concepts together, one is the peltier effect and the other is thermochromism. Thermochromic inks are special pigments that can change color on the application of heat. Everyone must have seen those magic coffee cups whose color changes when hot water is poured in it. Here, you can display letters on your clothes using thermochromic inks and an array of peltier modules placed behind it. Make a project where your clothes can display the time and other information like your name, etc. There are numerous ideas waiting to be explored using this concept. 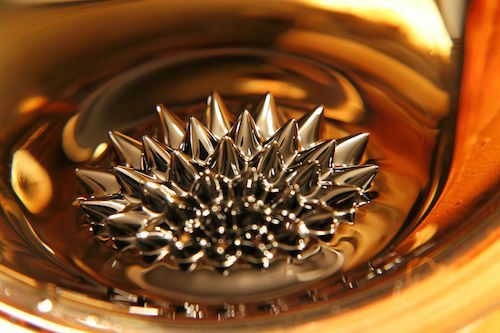 This project consists of an array of electromagnets placed behind the board, which when activated in sequence, can attract and move the drops of ferrofluid to resemble numbers. Think of creating new display interfaces using this concept. Similar to this, you can use these wires to build robots out of paper such as paper spiders that can walk. Or you can even tie this concept to IoT, to make an electronic card or book. For instance, an IoT paper book whose pages can be brought to life through animated paper shapes that can be controlled by a person in the US who wants to read a story to their kids. You can think of many interesting applications using this concept. These wires can be brought from sites like ebay. For more info, check out Backyard Brian's article on taking someone's free will. Think of your own ways to integrate this concept and create a cool application. These are just some of the several interesting ideas you can use to come up with interesting research projects. Take advantage of the internet to search for cool projects and go through the numerous research papers to come up with that one cool project idea that can open up a new world of opportunities. If you have more ideas in mind or want to post your feedback, do share them in the comments section below. And subscribe to our newsletters to stay updated on cool new project ideas that we come across.